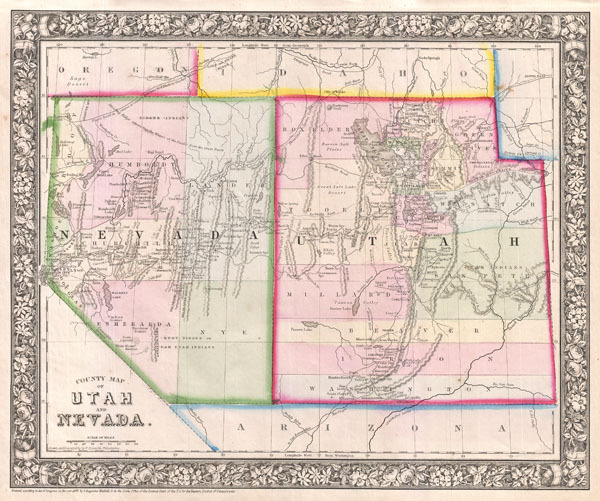 Ephemeral mapping of Nevada and Utah. Rumsey, 2483.037 (1870 edition). Moffat, R.M., Maps of Utah to 1900, 105. Wheat, Mapping of the Transmississippi West … , 1205.